PC Placements | Recruiting and Executive Search Firm | Everyone Is Jumping Ship, Should I follow? Everyone Is Jumping Ship, Should I follow? Amidst the ever evolving workforce landscape, it’s not uncommon for people to change jobs. But when does it become cause for alarm when a few people leaving turns into a stampede of colleagues headed for the door? If it seems your company is frequently losing strong team members, it may be time for you to evaluate your situation and ask yourself some key questions. It may be concerning to see colleagues you respect leave, but their departure should not immediately instigate a red flag warning for you. 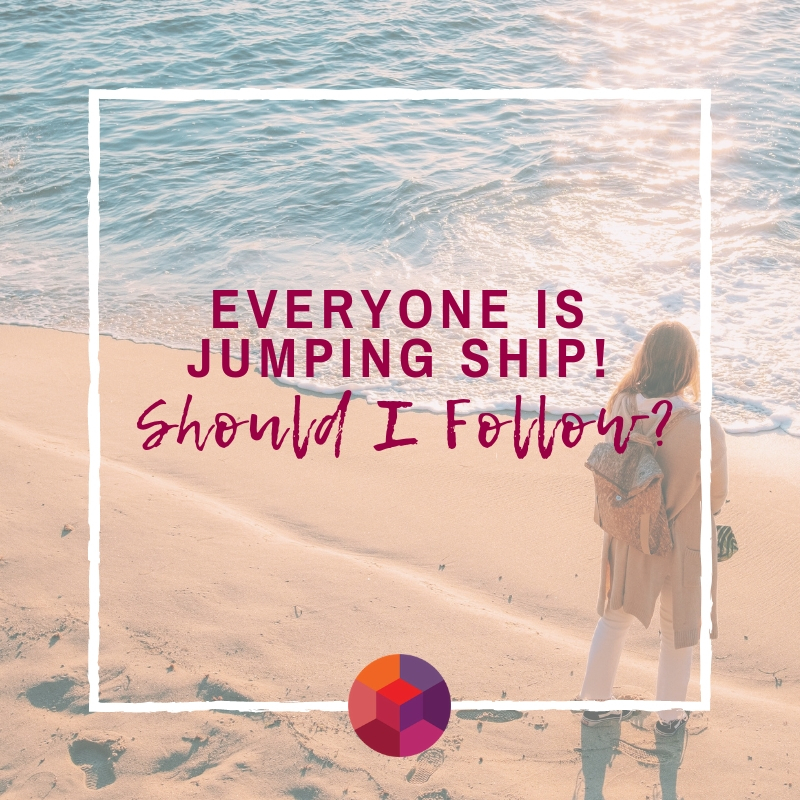 There are an array of factors to consider before making the decision to jump ship or to stay the course. Yes there are changes being made within the company but you are in a clear line of communication about them. You and your colleagues are fully aware of why certain people are leaving or moving around. There is a clear plan of action and you are completely in the know. Perhaps you do notice a number of colleagues departing, however, they work in different departments. Their departure will not necessarily affect your role because it is isolated to that particular department. You also want to take into consideration the industry you’re in as it could be one of the high turnover fields. It may be that those leaving have decided to part ways to explore better opportunities for their own career paths. Also note that more often than not, when a team member jumps ship they will try to recruit their favorite colleagues to join them. The US Bureau of Labor Statistics report that about 3 million people quit their job every month! So, if any of your direct team members are leaving, this can always be a potential opportunity to move into a role with more responsibility and a higher salary. Look at who is leaving. Are they in your department? Are they fellow supervisors? Are they managers with tenure? There could be a deal breaker connected to these changes that has not reached you yet. For example, if there are adjustments in roles that effect your workload and responsibilities negatively, you’ll want to rethink your situation and see what works best for you. Communication is key for a company to run smoothly and be successful. If it’s becoming obvious that employees are leaving at a frequent rate, various clients are being lost, and there are mixed messages of who might be taking over, there could be a detrimental communication issue. If you are trying to get answers and no one is relaying any information, this is a red flag. If longevity is a strong aspect of your company and people tend to be there for years or even decades, you’ll really want to dive in and see why these people are departing. Reach out to your colleagues for one-on-one conversations to see where their decision stems from. If it’s your employees that are taking a hike, utilize your off-boarding departure surveys to get to root of the issue. Be sure not to jump to any conclusions or make any decisions in haste. Look at how everything directly affects your position and your overall career goals. Is it coincidence, are several colleagues moving to the same company, is there a fixable breakdown in the department’s internal process? With there being so many factors to consider, you’ll want to pump the breaks and consider every aspect before making any big decisions.